In Till We Have Faces (henceforth TWHF), C. S. Lewis combines his passion for pagan mythology with his knack for communicating Christian truths via story. 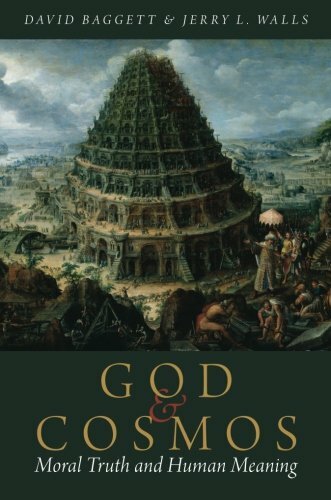 Lewis often stresses in his various works his belief that pagan mythology, while not reflecting the complete truth about God, contains various nuggets of the ultimate truth that is found in Christianity. Christianity, he says, is the “true myth” that melds the human need for believing what is true about the world as it actually is with our need for imagination and wonder and delight. It is thus not surprising that, in TWHF, Lewis powerfully illustrates a number of theological and moral positions that are prominent in many of his other writings by retelling the story of the myth of Psyche and Cupid. This paper will examine two major themes in TWHF that are also emphasized heavily within Lewis’s prose: the theme of faith and doubt and the theme of pride and corrupted love. With regard to the first major theme of faith and doubt, we will examine three key aspects of faith that Lewis stresses throughout his writings that are beautifully illustrated in TWHF. The first aspect of faith involves holding onto what one believes with good reason to be true about God in the face of various emotionally-driven, non-evidential temptations to abandon one’s faith. The second aspect of faith involves humbly drawing upon God’s help as we strive to follow Him and be molded into a person of greater character. The third aspect of faith deals with believing that God is good in the midst of pain and suffering and incomplete information. The paper will then examine the second major theme of pride and corrupted love. This will begin by examining how Lewis considers pride to be the antithesis of God’s mindset and how it prevents one from knowing God. This truth is at the heart of TWHF. Next, we will consider what Lewis has to say about how pride corrupts love into a sort of jealous hate that devours others and how this is exemplified in the life of Orual in TWHF. We will also see how Lewis’s warning against loving God less than we love others is illustrated in the novel. Finally, we will examine how Lewis’s repeated exhortation to engage in the biblical principle of dying to oneself in order to combat pride and relate properly to God and others is portrayed clearly in TWHF. Lewis has much to say about faith and doubt in his prose; indeed, two chapters of Mere Christianity are fully devoted to the subject. Let us consider three aspects of faith that Lewis emphasizes in his writings and exemplifies in TWHF, beginning with his recognition that faith requires us to hold onto what reason tells us is true about God and not allow our commitment to God to waver when we are tempted to doubt for various emotionally-driven reasons that are not rooted in evidence or reason. Lewis recognizes that human minds are not “completely ruled by reason.” Despite having good reason to trust one’s surgeon, for example, Lewis himself experienced emotional doubt and anxiety when he had surgery; he allowed his “emotion and imagination” to overrule his reason. A Christian with reasonable faith still experiences times when “his emotions rise up and carry out a sort of blitz on his belief.” Also, in some situations there are moral reasons that it is not “convenient” to think that Christianity is true (e.g., when one is tempted to sin). Faith involves maintaining commitment to what one knows is true about Christianity despite one’s changing moods and circumstances. It is a virtue to “teach your moods where they get off” and control them when they challenge one’s reason. This involves recognizing one’s moods and using reason to remind oneself that one’s faith in Christ is true by engaging in the spiritual disciplines of prayer, Bible reading, and church attendance. This sort of emotional doubt is seen in both Psyche and Orual in TWHF. Psyche rationally believes—on the basis of her longing for the gods, her recognition of their beauty, and her religious experience—that the “god of the Mountain” is the source of all beauty and has been “wooing” her to come to him. Lewis considers the human longing for God and for that which is beyond this world to be a rational reason to believe in God. Yet, despite having good reason to be confident in the gods, Psyche has moments when her emotions—fear in particular—rise up and cause her to doubt. A fear arises in the back of her mind that the god of the Mountain does not exist and that she will slowly die tied to a tree instead of being united with the god. The thought made her cry, but she quickly began reminding herself of the confidence that she has that the Fox’s skepticism about the gods is wrong and that her sense that the gods exist is correct. As Lewis says in A Grief Observed, “You never know how much you really believe in anything until its truth or falsehood becomes a matter of life and death to you.” At such times, it is easier for emotions to get the better of one’s faith, but Psyche reasoned herself away from this doubt in exactly the way Lewis says one should respond to such emotional blitzes. Orual also experiences emotionally-driven doubts. Unlike Psyche, Orual has no longing for the gods—especially after they take Psyche away. She has hate for them and admits her repulsion to believing that Psyche is living with a god husband in a palace, exclaiming in an angry outburst, “I don’t want [to believe] it!” Although she clearly realizes that the evidence for Psyche’s account of her god husband is enough to believe it is true, she allows her emotions to overrule her reason. Indeed, immediately after realizing that she believes it is true, emotional doubt occurs—what reason told her is true is wiped out by an emotional blitz of “blinding waves of sorrow”. Because she lacks the longing for the gods that Psyche has, Orual does not invoke reason to try to talk herself out of her emotional rejection of the truth. Instead, she convinces herself that she is justified in accepting what is not true despite the fact that factual doubt (i.e., doubt rooted in a lack of evidence) was never the problem. Unless one is determined to rule one’s moods by reason, Lewis says one will remain merely “a creature dithering to and fro” with one’s beliefs “dependent on the weather and the state of its digestion.” That is exactly what happens with Orual. Because she is so influenced by her moods and emotions rather than grounding herself in reason, her beliefs seem to swing wildly back and forth. She goes from nearly a “full belief” that the unseen palace exists to moments later “fluttering to and fro between two opinions” and finding it “unbelievable” that Psyche’s palace and god “could be anything but madness.” Then, shortly thereafter, she briefly sees the palace and is so sure that Psyche is married to a god that she plans to go and ask Psyche and the god to forgive her of her doubts, but when the palace disappears she immediately tries to tell herself it may not have been a veridical experience. Then, after hearing Bardia’s opinion and reflecting again on the evidence, she considers it “plain” truth that Psyche was given to the god. In the end, it is made clear that Orual did know that the palace was real all along and that her emotions—especially her jealousy—were the culprits in her convincing herself that the evidence is unclear. Her emotions carried out a blitz on her beliefs. Like Orual, Lewis experienced the temptation to think negatively about God out of anger rather than what he knew to be true. He calls it “hitting back” at God. But Lewis stresses that “the mood is no evidence.” He illustrates this well in Orual. Consider now a second aspect of faith stressed by Lewis: realizing that one falls short of the mark morally and striving to be good while at the same time recognizing that one must seek God’s help to make this improvement. Lewis says that the first step to developing this aspect of faith is to try hard to be good for even “six weeks,” as nobody realizes “how bad he is till he has tried very hard to be good.” Doing this convinces us that we lack the resources apart from God to live up to the demands of morality. This is seen in TWHF, as Orual realizes in the end that she is “ugly in soul” and desires to change her “ugly soul into a fair one.” She realizes that she needs the gods’ help to do this, but she sets out to try to be good and take the first step. She finds that she could not be good for even a half hour and was concerned that the gods would not help her. So as soon as she tries hard to be good, she realizes how much divine help is needed. Yet as the novel unfolds, she finds that the gods are helping her to grow morally. They are doing their “surgery” on her by revealing things to her about herself using events in her life (e.g., the process of writing her book) and interactions with other people (e.g., Ansit and Tarin). As Lewis stresses in Mere Christianity, God helps us to grow via many means. He uses nature, books, experiences, and other people—even when we do not realize they are being used. As Psyche was preparing to be offered to the god, she talks with Orual about how to interpret the gods’ actions in such a way that they are considered good. Psyche suggests that even if the gods seem to humans to be doing evil, we may simply not know enough to realize that the gods are actually doing what is good; in addition, she suggests that it is possible that the gods are not the cause of the evils we attribute to them. Orual, on the other hand, sees no other way to interpret the gods demanding Psyche as an offering than to declare that it is clearly evil. Like Orual, when Lewis was in the early stages of his grief after his wife died he was tempted to think, “What reason have we, except our own desperate wishes, to believe that God is, by any standard we can conceive, ‘good’?” Yet he quickly realized that it is “too anthropomorphic” to think of God as an evil Being; moreover, there seems to be too much good in the world. An evil Being is not likely to include “love, or laughter, or daffodils, or a frosty sunset” as traps or baits in a ploy to harm us. 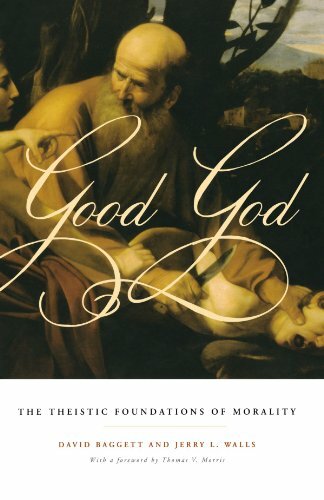 In response, however, to the question raised by Psyche as to whether we are able to evaluate God’s goodness, Lewis rejects the idea that anything God does must be considered good because we are too limited or fallen to pass judgment on God’s morality. He denies that “we are so depraved that our ideas of goodness count for nothing” and that the goodness of God is beyond our ability to assess. If that were true, Lewis says, we would then lack any reason to obey God or to call God “good,” for that term as it applies to God would be meaningless. Lewis, however, does hold that God’s ways and His knowledge are beyond us so that we do not fully understand God’s reasons for allowing things—a truth borne out in TWHF. Orual also thinks for most of the novel that the gods are toying with us in “cat-and-mouse play” by giving us something good in our life just to take it away and make things worse. In the same way, Lewis for a time wondered if God was like that when his wife died. His concern was that there is a God who is playing with us like we are “rats in a laboratory.” It seemed to Lewis that “time after time, when [God] seemed most gracious He was really preparing the next torture.” Yet Lewis came to realize that this thought was an emotional “yell rather than a thought” rooted in reason and evidence. Orual, too, comes to see that the gods have not been mistreating her; rather they have been preparing her for moral surgery. It is also interesting that, when his wife dies, Lewis wonders on what basis he had begun having doubts about God’s goodness. He knew about evil and the fact that spouses die before his own wife died, and it never bothered him before; however, it began to bother him and challenge his confidence in God’s goodness once the suffering happened to him personally. In the same way, Orual says she “never really began to hate” the gods and hold the strong feeling that they are cruel until they affected her personally by taking Psyche away. It is only when suffering impacts our lives personally that this aspect of faith in God’s goodness tends to be doubted. 1. C. S. Lewis, “Myth Became Fact,” in God in the Dock: Essays on Theology and Ethics, ed. Walter Hooper (Grand Rapids, MI: Eerdmans, 1970), 58-60. 2. C. S. Lewis, Mere Christianity: A Revised and Amplified Edition, with a New Introduction, of the Three Books Broadcast Talks, Christian Behaviour, and Beyond Personality (New York: HarperCollins, 2000), 139. 4. Lewis, Mere Christianity, 141. 5. C. S. Lewis, Till We Have Faces: A Myth Retold (San Diego, CA: Harcourt Brace, 1956), 74-6. 6. Lewis, Mere Christianity, 135-7. 7. Lewis, Till We Have Faces, 70-1. 8. C. S. Lewis, A Grief Observed, in The Complete C. S. Lewis Signature Classics (New York: HarperCollins, 2002), 665. 9. Lewis, Mere Christianity, 140-1. See also Lewis, Till We Have Faces, 108-9. Psyche’s doubts began to return as she was left at the tree. She felt that her old longings were gone and she could no longer believe in the god and the palace. Yet in her doubt she prayed to the gods. Emotional doubt returned when faced with stress and the possibility that her faith is misplaced, but she turned to the spiritual disciplines in the midst of it. 10. Lewis, Till We Have Faces, 124. 14. Lewis, Mere Christianity, 141. 15. 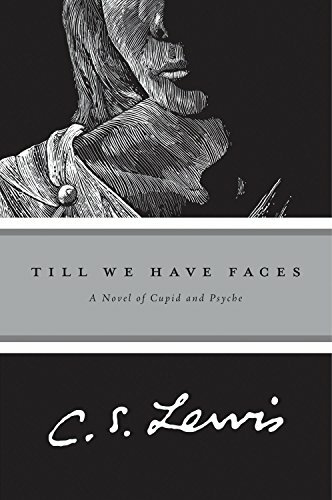 Lewis, Till We Have Faces, 120. 20. Lewis, A Grief Observed, 673. 21. Lewis, Mere Christianity, 141-9. 23. Lewis, Till We Have Faces, 281-2. 24. Lewis, Till We Have Faces, 253-67. 25. Lewis, Mere Christianity, 190. 26. Lewis, A Grief Observed, 658. 27. Lewis, Till We Have Faces, 71-2. 28. Lewis, A Grief Observed, 668. 29. Lewis, A Grief Observed, 669. 30. C. S. Lewis, The Problem of Pain, in The Complete C. S. Lewis Signature Classics (New York: HarperCollins, 2002), 568. 31. Lewis, Till We Have Faces, 249. 32. Lewis, A Grief Observed, 668-9. 34. Lewis, Till We Have Faces, 253-67. 35. Lewis, A Grief Observed, 671-2. 36. Lewis, Till We Have Faces, 290.